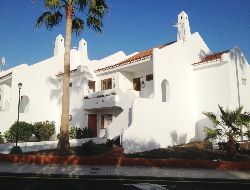 The 'Golf Del Sur', which is situated only a few kilometres from Reina Sofia (South) Airport, lies within the municipality of San Miguel de Abona, and over the years it has become one of the most popular holiday destinations in Tenerife. The Golf Del Sur Golf Club boasts no less than 'three' 9-hole golf courses; the South Course, the North Course and the Links Course, and in 1989, 1992, 1993 and 1994 the club hosted the prestigious 'Tenerife Open' golf tournament. What was once 400 acres of barren land, the Golf del Sur has grown extensively over the last three decades, currently encompassing dozens of residential resorts, such as Duquesa Del Mar, Aguamarina -and the magnificent El Nautico Suites, along with a handful of holiday hotels, including the 'Vinci Hotel' -and the incomparable Sandos San Blas Nature Resort and Golf. 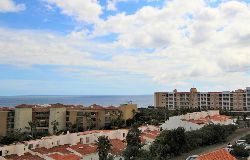 There are also a smattering of timeshare complexes, such as the Santa Barbara Golf and Ocean Club, The Royal Tenerife Country Club -and Sunset View. The majority of these resorts, hotels and complexes have been built near to the coast, and therefore their guests can enjoy the added luxury of spectacular, panoramic views of the Atlantic Ocean. Also, the 'Marina San Miguel', which was built between the resorts of the Golf Del Sur and Amarilla Golf, provides berths for private yachts and other sea-going vessels, thus increasing tourism facilities, such as yacht charters. For the more discerning water enthusiasts there is even an undersea 'submarine' excursion on offer. Numerous restaurants, shops and bars are spread all over the Golf Del Sur, but the hub of the area is undoubtedly the San Blas Commercial Centre –the main entertainment and shopping centre designed around two main piazzas, both of which are pedestrianised, and so the whole area is completely safe for families with small children. In the top square there is a variety of acts on every evening, and so both holiday-makers and residents alike can be suitably entertained, whilst enjoying their evening meals 'al-fresco', in the warm outdoor breezes of a sub-tropical climate. Romantic Restaurants, consisting of Indian, Chinese, Caribbean, Italian -and of course, Spanish cuisine, adorn both piazzas, along with a host of Sports Bars, karaoke bars and wine bars -and tucked-away in the far-flung corners of the square are a handful of secluded social bars, where one can gently sup their favourite tipples in peace and tranquility, whilst simply watching the world go by. 13 results, you are on page 1 out of 2.